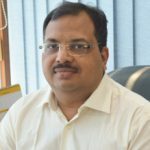 Mr. Sharad Agarwal, is currently the Chief Executive Officer of Hindustan Latex Family Planning Promotion Trust (India), with a keen focus on Reproductive health, Maternal and child health, Social Marketing, Social Franchising, Public Private Partnerships, Financial and Marketing management. A cost accountant from the prestigious ICAI and a law graduate; his skills and experience have been honed through a career spanning over two decades in responsible roles in esteemed corporate and social sectors organizations. His dynamic leadership has proved pivotal to the success of vital family health and welfare programs focused on bettering public health for the underprivileged populations. He has led the formulation and implementation of various crucial projects providing MCH services in addition to STI/RTI services. Notable innovations for social marketing initiated under his direction include, the concept of Rural Health Kiosks, Public Private Partnership (PPP) mode of collaboration with the Public Distribution system, and the concept of Village Cooperatives, amongst others which exemplify his unique leadership and vision for HLFPPT. His focus on not just innovating but in fact sustaining organizational endeavors is aimed at HLFPPT touching lives with quality care and compassion in the effort to emerge as a globally credible organisation.